LEARN BEYOND THE BOOK @ iLEAD Charter offers a challenging ROBOTICS Hands-on STEM ENRICHMENT for Grades 2-7 or Ages 8-13; The STEM (Science, Technology, Engineering & Math) Curriculum combines the use of Robotic Materials including High-Speed & Low-Speed Motors, (Battery-operated) Controllers, Cables & Parts to allow the young Men & Women in attendance a unique opportunity to design & build Robots, Robotic Vehicles & BattleBots with exciting Tasks, Challenges & Time-Trials. 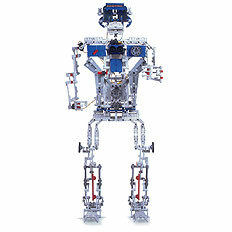 The numerous Robotic Builds will be based on applications of Math & Science with Individual, Team & Group situations using California & National Science Standards. Those in attendance can expect to participate on Obstacle Courses, Targets, Mars Terrain Sectionals (similar to JPL’s Red Room) and other unique Platforms in Individual, Team & Group situations.